Our 2010 program was fairly large. We had a total of 12 interns. 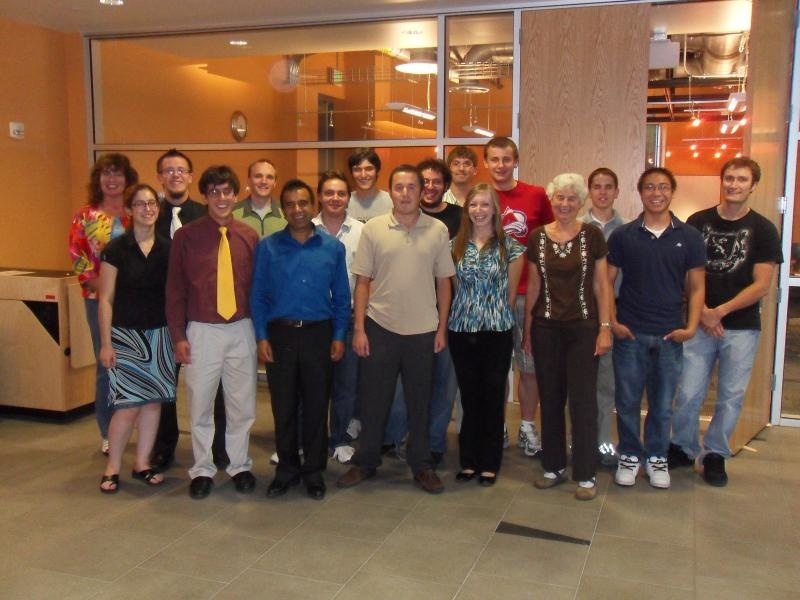 2010 Summer Interns: Final REU papers are linked below. Nick Arnosti, Williams College, MA: Investigation into multi-class SVM classification. As of Summer 2011, Nick has been admitted to Stanford University for his Ph.D. program. James Benhardus, Bethel University, Minneapolis, MN: Finding trending topic in a microblog stream . As of Summer 2011, James has been admitted to University of Minnesota for his Ph.D. program. Michael Billot, University of Colorado at Colorado Springs, CO: Integrating framenet and wordnet . 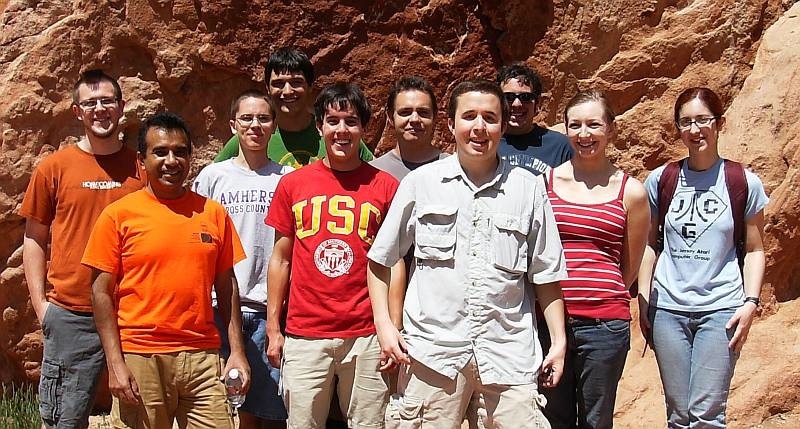 During Summer 2011, Mike is an REU intern, once again, at UCCS. Lauren Hinkle, Colorado College, CO: Using machine learning techniques to develop optimal soft keyboard schemes for languages of India and other languages . As of Summer 2011, Lauren has started her Ph.D. program at the University of Michigan. David Inouye, Covenant College/Georgia Tech, GA: Multi-post Twitter summaries. During Summer 2011, David attended at REU program at Rutgers University. Joseph Kaufmann (Max), Grinnell College, IA: Linguistic analysis of Twitter posts, syntactic standardization . Max is an intern at MITRE, Inc., Colorado Springs, during Summer 2011. He is also a part-time REU intern at UCCS. Benjamin Mears, Amherst College, MA: Creating a large-scale face database . Ben has been admitted to the Ph.D. program at University of Massachusetts, Amherst. Richard Seliga, University of Colorado at Colorado Springs, CO: Developing a Web site with lexical resources for multiple languages . Richard is an REU intern at UCCS during summer 2011. Daryl Woodward, University of Colorado at Colorado Springs, CO: Recognition of named locational entities in Wikipedia documents. Five papers have been published based on research done by the interns in 2010. 1) Daryl Woodward traveled to Pittsburg to present his pape at IEEE Semantic Computing Conference in October 2010. 2) Max Kaufmann traveled to IIT Kharagpur, India, to present a paper at the International Conference on Natural Language Processing (ICON 2010) in December. 3) I presented a paper based on Lauren Hinkles paper at the same conferences at IIT Kharagpur, India, in December. 4) Rachel Chasin and Daryl Woodward's paper was published as a book chapter in a book published from New Delhi in January 2011. 5) David Inouye's paper has been accepted for IEEE Social Computing Conference to be held on the MIT Campus in October 2011.